"Capitalism as we know it is over. So suggests a new report commissioned by a group of scientists appointed by the UN Secretary-General." ... Those are the stark implications of a new scientific background paper prepared by a team of Finnish biophysicists. The team from the BIOS Research Unit in Finland were asked to provide research that would feed into the drafting of the UN Global Sustainable Development Report (GSDR), which will be released in 2019...The IGS is supported by a range of UN agencies including the UN Secretariat, the UN Educational, Scientific and Cultural Organization, the UN Environment Programme, the UN Development Programme, the UN Conference on Trade and Development and the World Bank. The BIOS paper suggests that much of the political and economic volatility we have seen in recent years has a root cause in ecological crisis. Global warming is not about the science. There’s very little scientific evidence to back up the threats of catastrophic and man-made climate change, and copious data refutes the fears. So what is it really about? Is there a larger agenda at play? (Hint: Of course there is.) MIT climate scientist Richard Lindzen has laid out the real agenda behind the global warming scare. “Controlling carbon is a bureaucrat’s dream. If you control carbon, you control life,” Lindzen said in 2007. 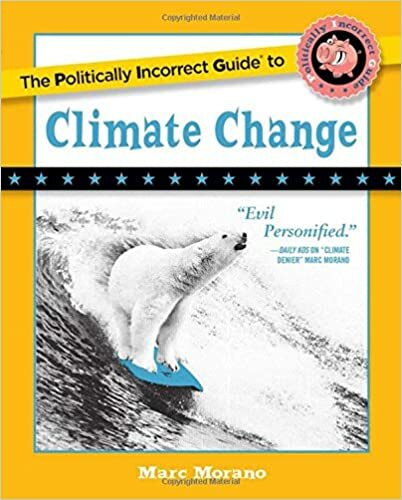 The climate change panic is all about central planning, global governance, planned recessions, and redistributing wealth. It’s just the most recent in a long chain of eco-scares—overpopulation, deforestation, the ozone hole, resource scarcity, and so forth—for which the solution is always the same: global regulation by central planners. At the moment, the UN IPCC is the leader of this agenda. The UN “experts” openly say they want to redistribute wealth by climate policy. They are using the science as tool in a partisan political campaign effort for centralized government planning through the United Nations and the European Union. So, according to the admissions of its own leadership, the point of the campaign against global warming is not really the supposed climate science. No, the real agenda is the “solutions” to the alleged crisis. Those “solutions,” which the members of the global governance lobby want in any case for other reasons, are what is driving the movement. At the Bali UN climate summit in 2007, climate activists advocated the transfer of money from rich to poor nations, purportedly in order to fight global warming. “A climate change response must have at its heart a redistribution of wealth and resources,” said Emma Brindal, a climate justice campaigner coordinator for Friends of the Earth. If, as Lindzen says, controlling carbon dioxide is a bureaucrat’s dream, then the global warming advocates are in a field of dreams as they envision centrally planned energy economics and regulations over ever-increasing aspects of our lives.